Cadet Larry Chapman, FVSU mental health counseling graduate student, was recently awarded the Cadet Leader Course (CLC) regiment’s most coveted award, the Association of the United States Army (AUSA) Warrior Ethos award. The Warrior Ethos award is presented to the cadet who best achieved all CLC outcomes. Cadet Chapman was assigned to the 8th Regiment comprised of 580 cadets from 275 host ROTC Programs nationwide. In total, over 5500 cadets divided into ten regiments attended CLC. 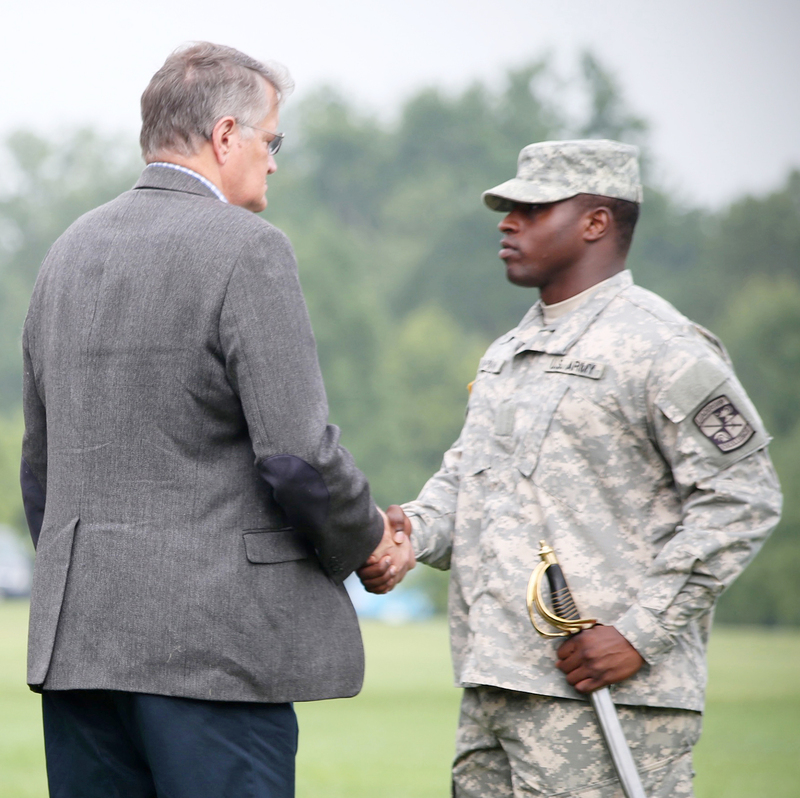 Cadet Chapman was 1 of the 10 Warrior Ethos regimental winners. The AUSA Fort Knox Chapter president, Gene Gudenkauf, presented Cadet Chapman with the award. To learn more about FVSU’s ROTC program or graduate studies, visit https://www.fvsu.edu/about-rotc or https://www.fvsu.edu/graduate-studies.